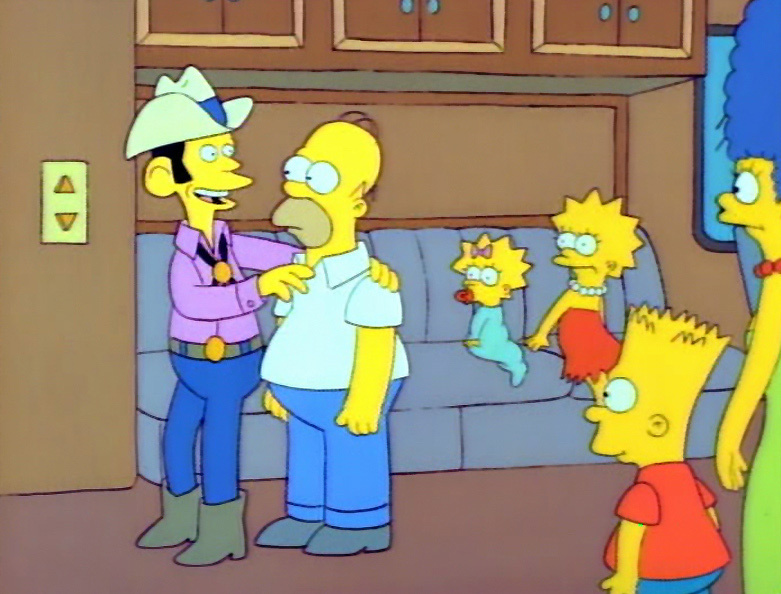 Howdy Bart. Hot enough for ya'? Just be happy with what you got, son. Don't try to keep up with the Flander-isses. The Ultimate Behemoth... you are standing in its' presence. Behold! 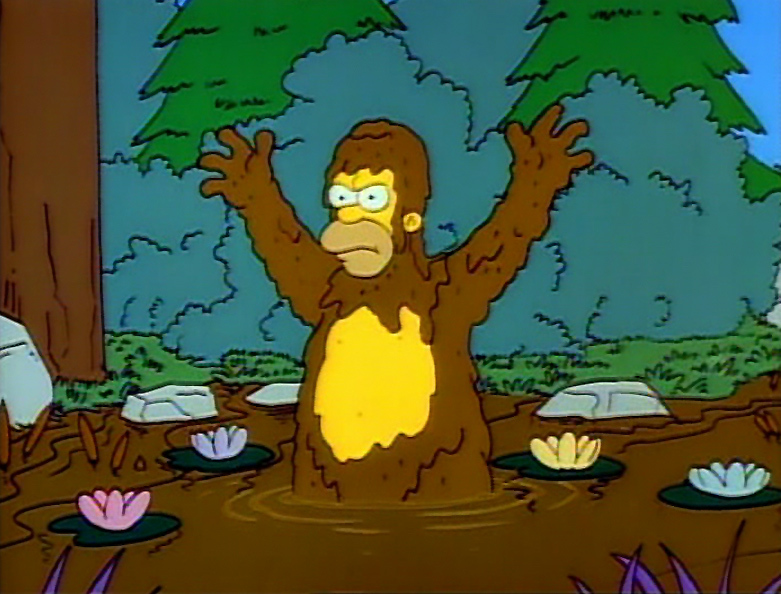 Wait til' Flanders gets a load of this! First of all, I want you to know I like your face. Really do. Not saying that, I mean it. You got color in there. You're not Roman are you?... Look like a God, sort of. Why don't we step into the credit office, Zues. This is a formality. If you're saying to me, Bob is this guy good for it? I say yes. I don't check this machine. But I don't own the place. Even though my name's up there, long story... You've ever known a siren to be good? No, Mr. Simpson it's not. That's a bad siren. That's the computer in case I went blind telling me to sell the vehicle to this fella' and you're out of business... You couldn't afford this thing if you lived to be a million!... Take it easy, don't ruin this feeling I'm gettin' from ya'. Perhaps I can show you something a little more you. This is yours at the price I'm quotin' ya'. Your not gonna' hand it to someone else? Cause I'm gonna' give you a price for you. Not for someone else. Someone else, I'm doublin' this... This is you and me... In other words two months from now I see this vehicle, your head's in that window. Mr. Simpson if you have to go talk it over with those humans out there then there's something wrong with all of us. You look like a man who is able to make a decision or I wouldn't be wasting... see that man right over there?... He's buying this. Did you know that? Called me two minutes before you came in. Said, save the little one. I'm comin' down. Here he is! Now you want it or not?... Best decision you ever made. This is gonna' change your life. Ready or not nature, here we come. 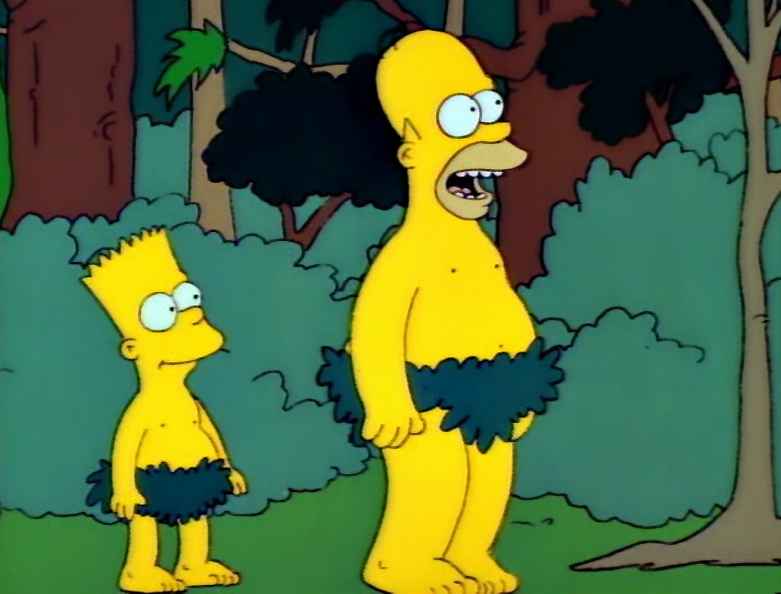 The Simpsons have entered the forest. What am I going to do? I've murdered us all! Remember dad, the handle of the Big Dipper points to the North Star. Don't have a cow, dad. The first thing you learn about surviving in the woods, boy. Conceal your nakedness. Oh bears... right, right. Let me show you how many bears there are around here. 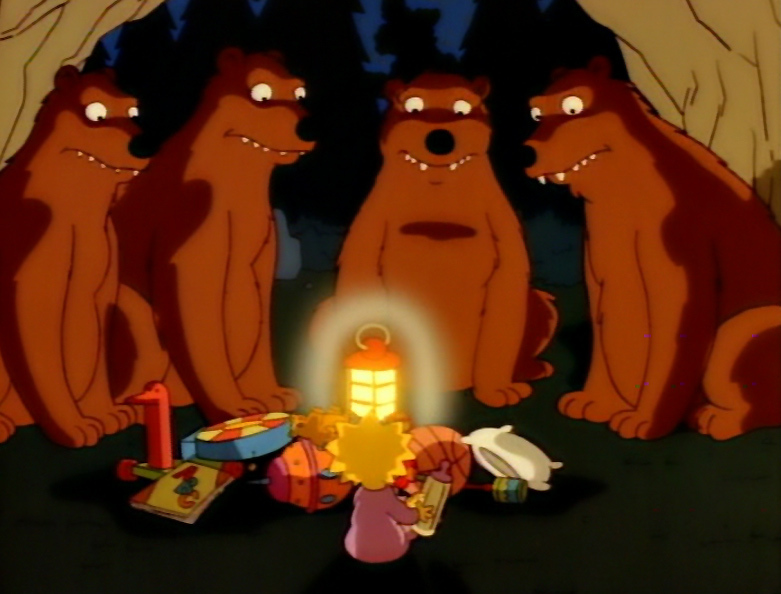 Ah, hello bears! Um, c'mon have a donut. Oh, what the heck, have me! Come and get it. His name isn't Big Foot. His name is Homer.